Credit E. Woodward/ UNC Institute of Marine Sciences. Recent events have led to an interest in the 50 shark species that call our coast home. This week on the Down East Journal, we speak with Assistant Professor at the Institute of Marine Sciences Dr. Joel Fodrie about how this apex predator is actually an integral part of the coastal ecosystem. Fortunately, dangerous interactions between humans and sharks are extremely rare. The fact that three unprovoked shark attacks have happened along our coast within days of each other is also very unusual. Now, many beachgoers are scared to enter the water. Dr. Joel Fodrie is the Assistant Professor at the University of North Carolina’s Institute of Marine Sciences in Morehead City. According to data from the International Shark Attack File from the Florida Museum of Natural History, there have been 55 shark attacks in North Carolina in the past 80 years, three of which were fatal. The majority of attacks occurred in New Hanover, Onslow and Carteret counties. Dr. Fodrie emphasizes that number is remarkably low when you consider the abundance of sharks found along the coast. North Carolina is located at a breakpoint between northern and southern fauna. The diversity of environments and water temperatures is conducive for supporting more than 50 species of sharks off our coast. 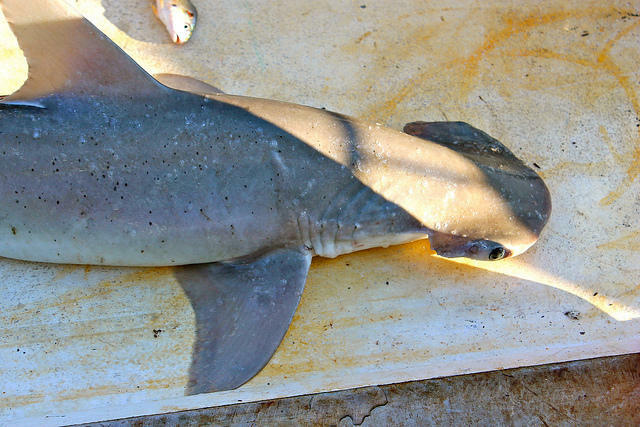 Researchers with the Institute of Marine Sciences study a variety of sharks, including twenty species that are fairly common in estuarine and near-shore waters. 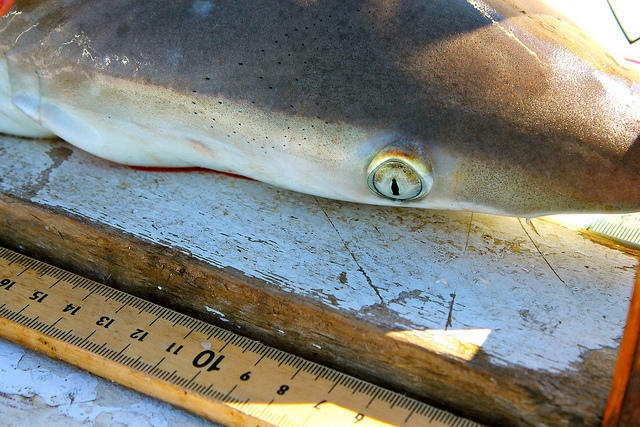 Smaller sharks like Black tip, smoothhound and bonnethead sharks are found in the Core and Pamlico Sounds. Larger sharks are out there though, like the nurse, hammerhead, dusky and great white sharks. It’s not known for sure what species of shark was involved in the attacks in Oak Island this past weekend. But out of the dozens of species that patrol North Carolina’s coastline, Dr. Fodrie says only a handful of sizable sharks would be bold enough to swim into shallow water. Dr. Fodrie says he’s personally seen two tiger sharks in waist deep water. Tiger sharks can grow to a considerable size - up to 18 feet – and are one of the most potentially dangerous species. Another aggressive and common species found off the coast of North Carolina, in estuaries and even freshwater rivers is the bull shark. While these species have been known to bite humans, Dr. Fodrie believes a number of factors led to the incidents last week. With the recent shark attacks, it’s reasonable that some beachgoers are hesitant to go in the water. However, these apex predators of the sound and sea bring balance to the ecosystem. Gray Redding is a technician working in the Fodrie Lab at UNC IMS. Sharks are the primary consumers of larger animals like turtles, fish and cow nose rays. And since rays eat scallops, it’s important to keep their populations in check. Another example of sharks bringing equilibrium to the ecosystem is by controlling the number of sea turtles and fish that consume coastal vegetation. 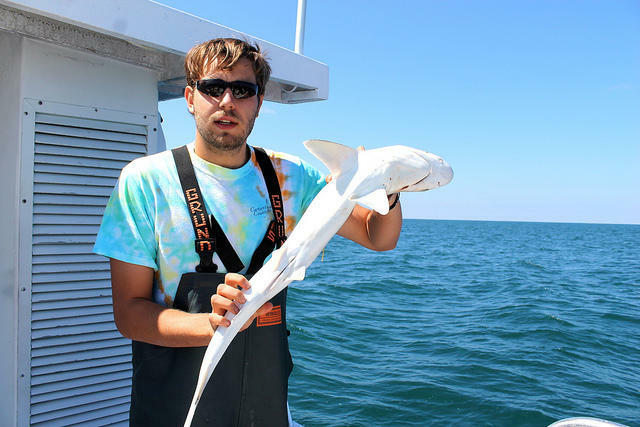 To better understand the movements of sharks, Dr. Fodrie is currently involved with a collaborative research project with Dr. Jeb Byers at the University of Georgia to study bonnethead sharks in Georgia. 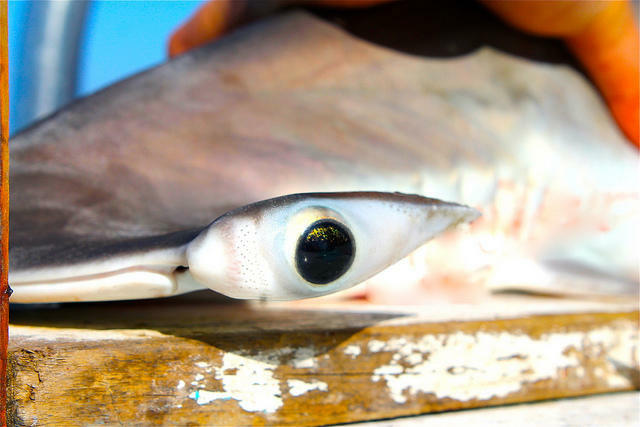 This will give scientists a clearer picture on how bonnethead sharks respond to changes in habitat or fishing pressure and how much of an impact their feeding has on an ecosystem. The team hopes to tag bonnetheads here in North Carolina later this summer. It’s important to keep in mind that the United States averages just 19 shark attacks each year and one shark-attack fatality every two years. A far more dangerous scenario involves land based lightning strikes which kill more than 37 people each year. To stay safe, Dr. Fodrie says there are some things you should take into consideration when taking a beach swim.